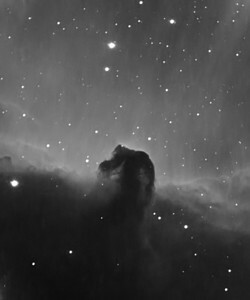 Since the light pollution is so bad in my area, my only option is to do narrowband imaging. 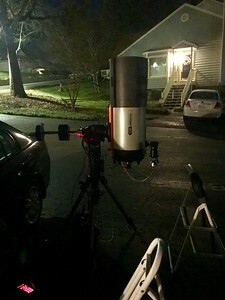 Tonight I did a first light test of my ZWO ASI290MM-cool, which I've had for a while, but have not had a chance to use. This camera, along with the color model that I own, matches quite well with my C11/Hyperstar optical train configuration. 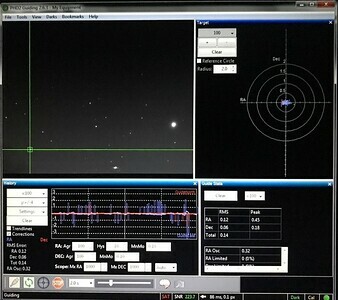 My Celestron EdgeHD11 was setup in HyperStar configuration for a focal length of 560mm, at a super fast f/2. Mount used was an Orion AZ/EQ-G Atlas Pro. I used my Astrodon 5nm H-alpha filter to capture both objects. 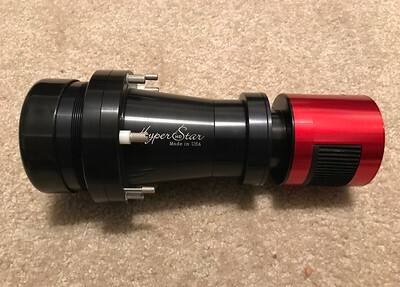 Because faster optics typically have a steeper light cone, causing a slight frequency shift, I'm unable to successfully use my Astrodon 3nm narrowband filters on the HyperStar. They're just too narrow, and the overall signal drops precipitously. The 5nm filters work well though, but have reduced contrast. 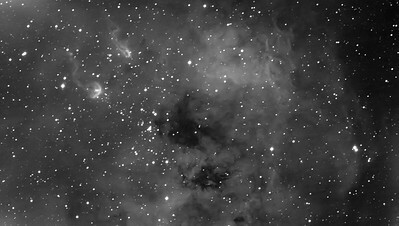 For both objects, I captured 40x120sec (1hr-20min) 5nm H-alpha light frames, which is really not that much narrowband data. No darks, bias or flats were captured or processed with. Interestingly, capturing at f/2 for 2min, is approximately equivalent to exposure times of over 12min at f/5. I was very happy with the guiding, thanks in part to my good polar alignment using the QHY Polemaster Polar Alignment camera. The 50mm Orion Mini Guiding system that I used gets a bad rap sometimes, but I hardly have any issue with using it as long as the there are fairly bright stars to select and guide off of. It performed like a champ last night! Post processsing was done using PixInsight and Photoshop CS6. Acquisition and post-processing all done on a Windows 7 operating system. Excellent Guiding tonight, even in light polluted North Raleigh and Orion StarShot Autoguider. Starlight Instruments C11 HyperStar Optical Assembly with FilterSlider and ZWO ASI290MM-Cool attached.